A team of researchers, led by Dr. Matthew Lewin of the California Academy of Sciences and Dr. Stephen P. Samuel of Trinity College Dublin, Ireland has taken another promising step toward developing a universal antidote for snakebite. 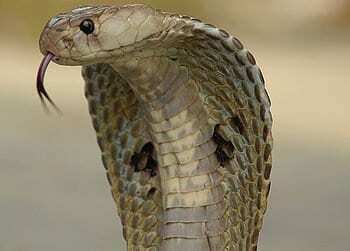 Last summer, the team tested the effectiveness of a nasally administered antiparalytic drug on mice injected with high doses of Indian cobra (Naja naja) venom. Mice injected with otherwise fatal doses of venom outlived and in many cases survived after being treated with the antiparalytic agent, neostigmine. These findings support the team’s idea that providing fast, accessible, and easy-to-administer treatment can increase survival rates in victims of venomous snakebite. The results of this pilot study were recently published in the Journal of Tropical Medicine. June 24, 2018 - Nigeria runs low on snakebite antidote Aljazeera.comThousands of people are bitten by snakes in Nigeria every year, and many people die or lose their limbs because of a shortage of antivenoms. March 11, 2016 - This drug is closest yet to a universal snakebite antidote STATA drug that's gone through clinical trials has now been shown to battle more than two dozen deadly snakebite venoms.